Awake to the smell of freshly cooked bacon and eggs, your breakfast also includes toast, yoghurt, juice, tea and coffee. Afternoon tea consists of cake, scones or biscuits. Each air-conditioned room has a flat-screen TV, DVD player and radio. The private bathroom has a hairdryer and free toiletries. B&B Number 12 in Brisbane is 8 minutes’ drive from Fortitude Valley. The RNA Showgrounds and City Botanic Gardens are both a 10-minute drive away. Suncorp Stadium is 15 minutes’ drive. We speak your language! Bed and breakfast: 4 rooms. Chapel Woods Bed and Breakfast 4 stars Accommodation. 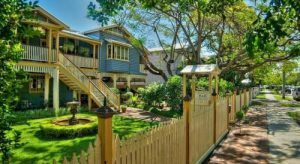 Located in Brisbane, 7 km from University of Queensland – St Lucia, Chapel Woods Bed and Breakfast boasts air-conditioned rooms with free WiFi. Free private parking is available on site. Kirkland House Bed and Breakfast is located in the inner Brisbane suburb of Coorparoo, it offers free Wi-Fi and is 10 minutes’ drive from the city centre. Free continental breakfast and free parking are included at the Accommodation. All air-conditioned suites feature an en suite bathroom, tea/coffee making facilities, TV and radio. A work desk and a small refrigerator are also included. Set in a grand colonial building, Kirkland House Bed and Breakfast is 3 km to The Gabba sports stadium. Princess Alexandra Hospital and Greenslopes Private Hospital are a 5-minute drive. Kirkland House Bed & Breakfast has been welcoming Booking.com guests since 12 Jan 2011. Bed and breakfast: 5 rooms. Queensland, commonly referred to as the “Sunshine State”, is Australia’s ultimate outdoor holiday playground. Hike through tranquil rainforests, relax on the clean sandy beaches of an island paradise or search for dinosaur fossils in western regions of Queensland. From the fun and excitement of the Gold Coast to the adventure of the Cape York, you will know you have found a special kind of place in Queensland. 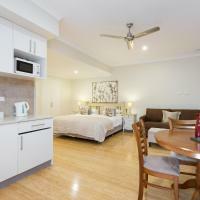 Take A Break Holidays takeabreakholiday, Brisbane Bed Breakfast Accommodation.